Brian and Amanda Sherrington were brand new to self-build and had no experience, even in serious DIY! So it was with a mixture of trepidation and excitement that they started their self-build journey with Fleming Homes. Yet, by the time their beautiful German-inspired dream home was complete, Brian was a hands-on, sleeves-rolled up enthusiast and Amanda reports “an indescribable sense of achievement” – to the point where they now feel they could do it again! The designs were sent through by email, and Amanda and Brian had plenty of time for reflection. “There was no real pressure. Fleming Homes were happy for us to take our time and make sure it was right.” Brian then commissioned building regs drawings from another company, thinking “we’d get it cheaper”. With hindsight, he feels it would’ve worked out cheaper to stay in-house having building regulations and technical drawings done by the same people. Any Advice for New Self-Builders? Two years on, and looking back, what advice can the Sherringtons offer to other self-builders? “Don’t work! It was stressful, as we were both working full-time. Lots going on in our lives, and were spending every weekend at the site, and some nights. It wasn’t easy.” But, adds Amanda, “it was brilliant as well”. 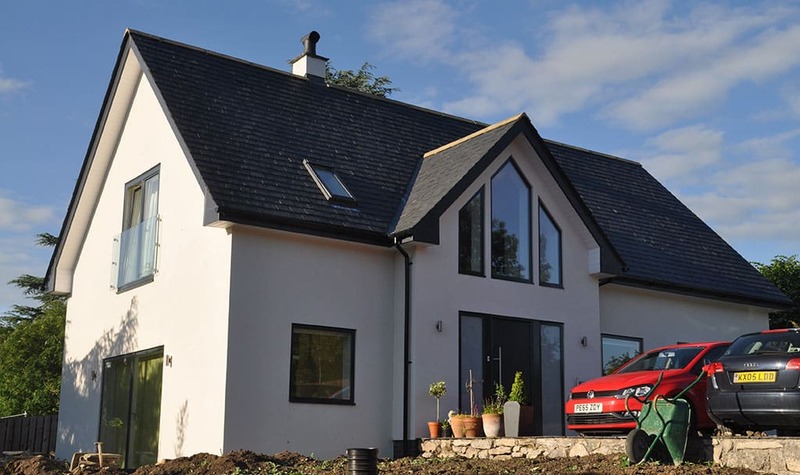 Contact Fleming Homes today to get started with your timber self-build project.